As CBS notes, this is not the first time Uber’s driver vetting process has come into question. In a settlement that has yet to be approved, Uber agreed to pay $28.5 million to some 25 million riders who used the service between January 1, 2013 and January 31, 2016. The lawsuits at issue called into question Uber’s “safe ride fee,” alleging that despite collecting such a fee Uber had not adequately screened the service’s drivers. Uber has released a statement saying no transportation means can truly be 100% safe and pledged to use precise language in its safety-related statements. The shooting in Kalamazoo is a tragedy and our hearts go out to the victims and their families. Certainly, we should be able to expect that for-pay drivers will not commit such atrocious acts of violence. 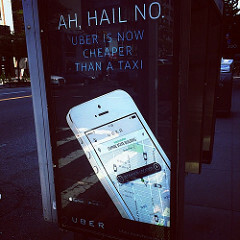 We should also be able to expect that Uber drivers and traditional taxi drivers will exercise safe driving behaviors. Sadly, accidents involving taxis and similar vehicles are far too common. Common carriers must carry passengers [or property] safely. Common carriers must use the highest care and the vigilance of a very cautious person. They must do all that human care, vigilance, and foresight reasonably can do under the circumstances to avoid harm to passengers [or property]. While a common carrier does not guarantee the safety of its passengers [or property that it transports], it must use reasonable skill to provide everything necessary for safe transportation, in view of the transportation used and the practical operation of the business. If you are injured in a bus, Uber, or taxi accident in California, you have rights. These rights may extend beyond the basic rights that apply to anyone injured in a car accident due to someone else’s negligence or wrongdoing. You may have a claim against the taxi or ride-share company and their insurance carrier. 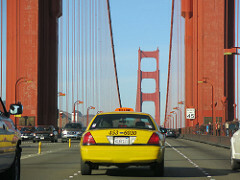 For those injured in a Northern California taxi crash, our taxi injury law firm in San Francisco, Oakland, and Santa Rosa is here to help. Call for a free consultation.